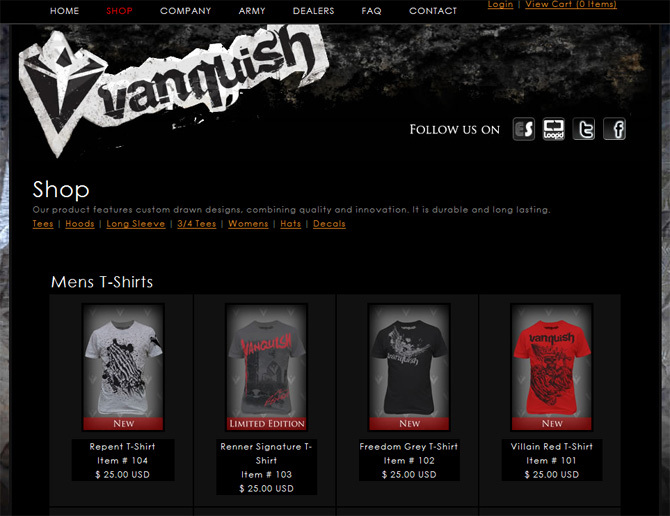 In a partnership with the design contributions of Think Style Studio, ShiftUP Consulting created a custom shopping cart system to display Vanquish MX's clothing line. The initial scope of the project was for a dynamic product display system but quickly progressed to a full e-commerce solution. The completed system is able to track and store all orders for shipping and financial purposes and process credit card transactions instantly. Vanquish MX was pleased with the ease with which they were able to enter new product offerings and monitor customer orders for shipping!